Life is unpredictable and can produce unexpected circumstances. Hurricanes, lightning and wind storms, and tornadoes can result in damage to your computer systems and destroy important data. Although you can’t control natural disasters, and you can’t always protect your equipment in the midst of one, you can prevent the destruction of important data and have confidence in the security of your valuable information. With businesses, data is critical for survival. It’s nice to know that when so much is at stake, your information can be secure with a 24/7 data center emergency response company. The benefit of a company offering around the clock services is that you have the best in repair and technical support to attend to your emergencies whenever they might occur. A response team can prevent a long down time and save your business money. In addition to repairing your equipment in the case of weather related incidences, there are many other advantages to building a partnership with a data center emergency response company that can truly benefit your business. A 24/7 data center emergency response company can provide maintenance services that not only predict but prevent problems that may lead to down time. Predictive services can ensure that every component of your mechanical and electrical system is up to date and within the manufacturer’s specs. Other services may include air conditioning or uninterruptible power systems and back-up generators. Whether you choose a traditional perimeter, ceiling mounted, or a refrigerant-based high density cooling system, focused heat removal is the answer to high density cooling and can be obtained through a quality cooling installation. Power generators and UPS systems come in different varieties and are crucial in backing up your system in the case of a power failure. Generators can include diesel, natural gas, and hydrogen fuel cell technology. Products relative to power distribution and circuit protection are switch boards, transformers, panel boards, safety switches, power monitoring and control systems, and distribution and control components. These products can help provide your system with high efficiency and effectiveness. 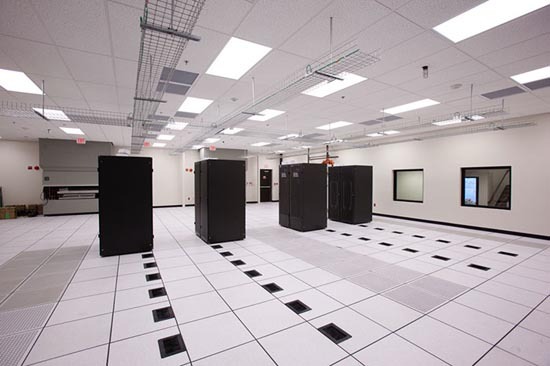 Another option that 24/7 data center emergency response companies can offer is data storage. In addition to creating extra working space, your company can save time and money and allow your staff to focus on the more significant tasks they were trained for instead of storage maintenance. Finding a good 24/7 data center emergency response company may require some research on your part, but it will pay off in the end. The company should be able to guarantee any of your mechanical or electrical projects to run smoothly and be performed by qualified and experienced technicians. When an emergency does arise, the response center should provide the best diagnostic and restoral technologies so that they can expedite a full system recovery. Their technicians should be highly trained with the latest electrical and mechanical technology. A 24/7 data center emergency response company should be dedicated to their customers and have the experience to be able to provide you with the most reliable and quality service. By placing your trust in a 24 hour service, you can rest assure that your needs will be met no matter what time of the day it is and your business can continue on the road to success. This entry was posted in Back-up Power Industry, data center maintenance, Titan Power, Uninterruptible Power Supply, UPS Maintenance and tagged computer room maintenance, Data Center, Emergency Power Systems. Bookmark the permalink.